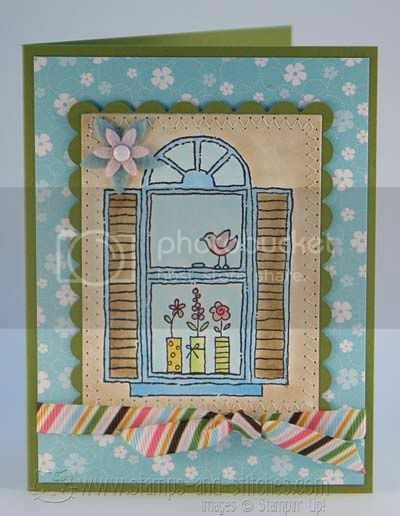 Stamps and Stitches: Window Dressing..
Gale, I think it looks great! Very cheery and fun!! Love the layout! Wow, your coloring is perfect and beautiful!! Very sweet card! This is adorable, the colours look great! What a cute card! I love the colors you used; ribbon and paper. Great job coloring. Love the layers you did and adding that sewing around the edges really adds texture to it. Love it. Beautiful card! I love this stamp set! I love the ribbon you used! very pretty card ! love your choice of colour and ribbon . That would make a lovely New home card ! 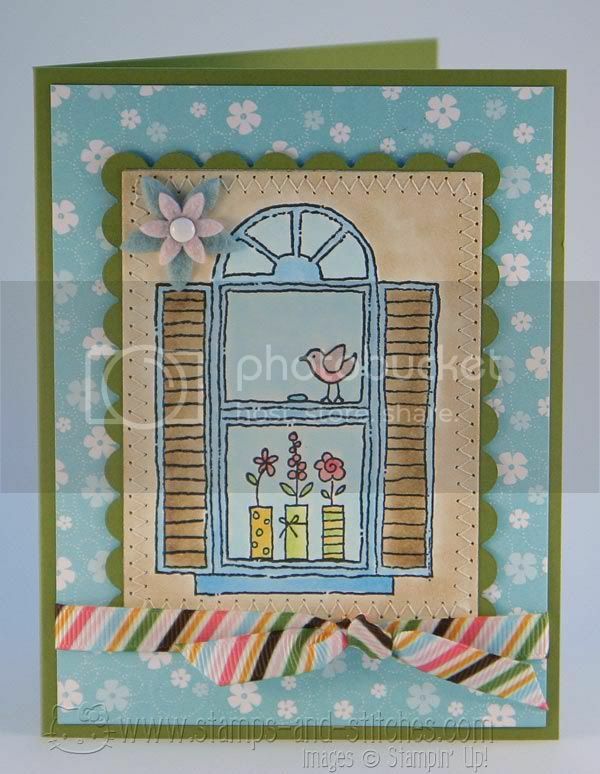 this is so pretty!Your coloring is wonderful and I love the patterned paper! Very, very pretty card. I can't tell that ribbon is too bright - it seems to go together perfectly! I love the stitching. Beautiful! Don't ya just love that set! Very impressive coloring too. The dog in the photo is a husky :O) Her name is Bella. We actually have 3 huskies (plus two smaller dogs) though. I love this Gale!! I really like the ribbon with it. You did an amazing job on the image and I just love the sweet lo of the card! That is just the sweetest card! Love it! Gail, this is just adorable!